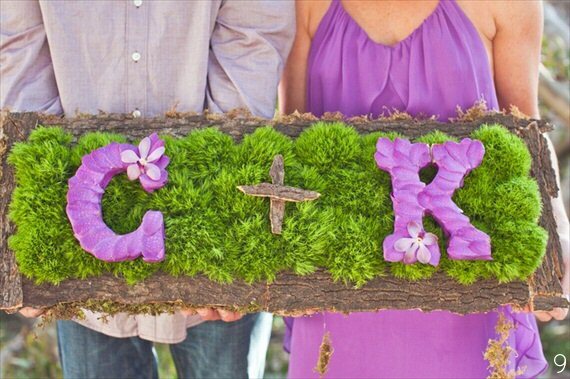 If you’re looking for a fresh springtime wedding theme, you’ve come to the right place! 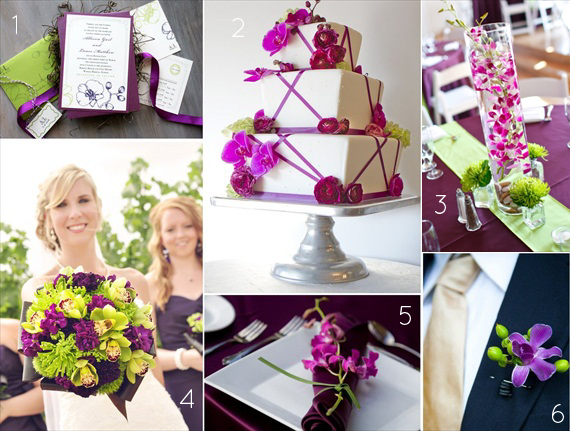 Check out this inspiration board featuring a purple orchid wedding theme with green mixed in. 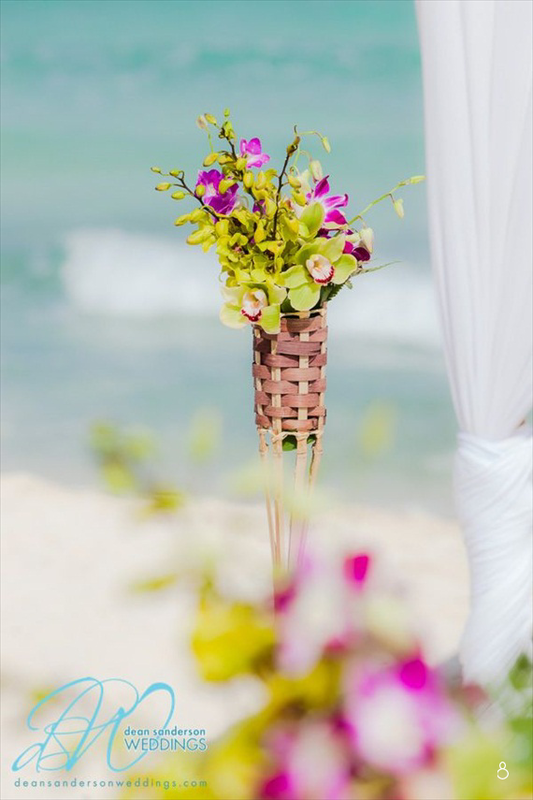 If you’re planning an orchid wedding theme, you can pick your favorite color (like white, purple, or green) and pair with a favorite coordinating color. For this board, we’ve used a mix of purple and bright green as one such example. Keep in mind that every piece does not need to be orchid themed (which may overwhelm); instead, pick a few favorite pieces and use coordinating colorful pieces for the rest. 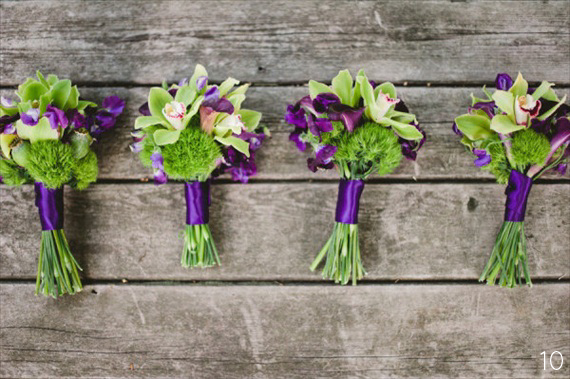 Read on to see what we’ve discovered + check out a beautiful orchid-inspired wedding giveaway at the end of this post. Enjoy! 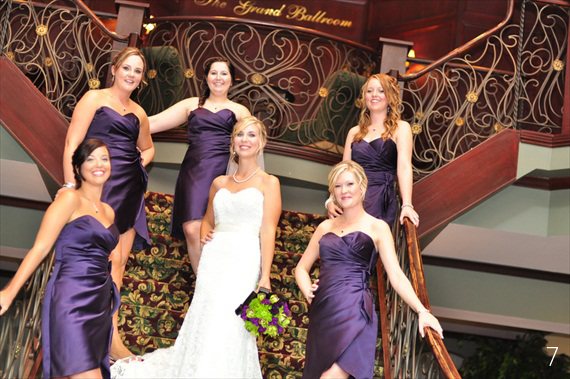 The finishing touch to an orchid wedding is a piece of inspired jewelry. For one week, you can enter for a chance to win a gorgeous orchid statement necklace by Silver Lotus Designs as shown below. 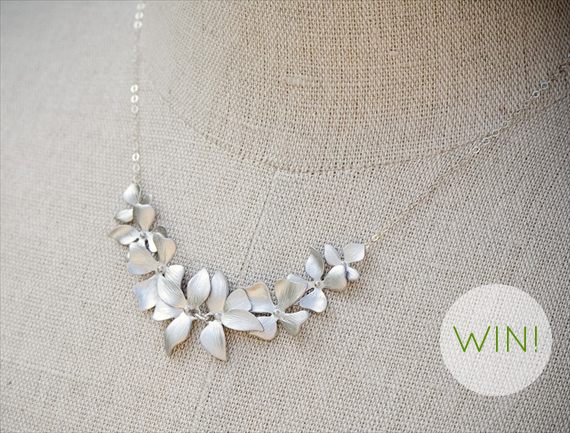 Between 11/6-11/12/13 (11:59pm EST), enter for a chance to win an orchid necklace! Use entry form below. One winner will receive the necklace, shown above, in his or her choice of silver or gold. Prize value: $40. No cash value. Past giveaway winners within 30 days not eligible to win. Necklace chain is made of either 100% solid sterling silver or 14k gold filled. Flowers measure 3.25″ in length; necklace measures 16″ in total length. Necklace can be lengthened to 18″ free of charge. Matching earrings and bracelet are available. Makes a beautiful bridal necklace or gift for your Maid of Honor or Bridesmaid. Winner will be randomly selected and announced on this blog post. Winner will be contacted via email and has 72 (business) hours to respond to confirmation. Winner must ‘order’ prize within 6 months. Free shipping included anywhere. Good luck! I love the Silver Cat Necklace! The anchor necklace is lovely and simple- I would wear that all the time! My favorite item is the Rose Gold Initial Necklace! double infinity necklace is beautiful. The Silver Anchor Necklace is stunning! Love the birthstone and leaf gemstone. Love the gold cat necklace! The Monogrammed Gold Cat Necklace is super cute, and perfect for my maid of honor! I love the large initial necklace. Love the gold anchor necklace! i love the Double Infinity Necklace! and the Personalized Double Infinity Necklace! both are so cute!! I love the Personalized Double Infinity Necklace! I like the Star Necklace Gold! I really like their nameplate double strands necklace!